Ed Sheeran Teases New Music: Check Out the Sneak Peek He Posted on Instagram! If you’ve been looking for Ed Sheeran’s new music, then look no further than the English singer’s own Instagram page! The “Shape of You” singer turned 26 today and instead of receiving a gift, he gave one to fans instead! Ed Sheeran’s “How Do You Feel” sounds like his next best hit and is the perfect wedding song —either to walk down the aisle, or for the first dance. Brace yourselves everyone; Ed Sheeran is back and he’s not playing around! His previous post teased that he would be releasing the song today and the “Photograph” singer didn’t disappoint! The short clip has over 1.0 million views and over 30,000 comments! We can only imagine how high those numbers would be if it was the whole song! The 26-year-old took a break from the music world for a while and it has clearly paid off! From the sounds of things (like his first two hit singles off his new album), the red headed crooner has up’d his musical game and is bringing fans his best work yet! He was off the grid and needed the time to get away and live his life. In an interview with Ellen DeGeneres, the megastar said he still doesn’t have cell phone and only responds to emails on his iPad. And because of that, he’s less stressed not waking up to 50 messages from people asking for things. We can’t imagine anyone living without their phone for more than two seconds, but whatever works for him! 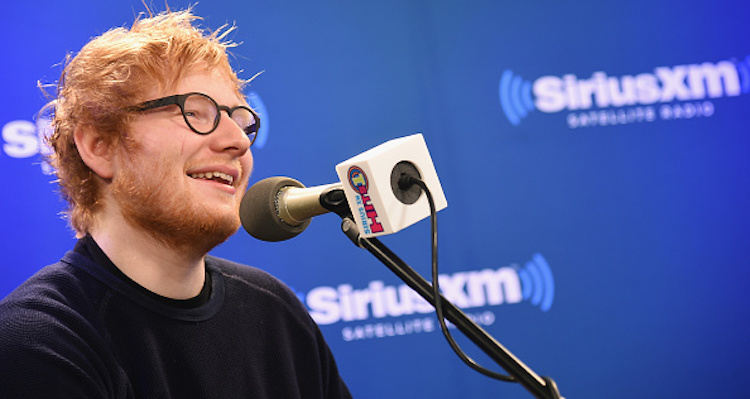 Wishing Ed Sheeran a happy birthday and many more to come!